Click here for the 2016-2018 Catalog. This Catalog edition covers academic programs for the 2018 - 2020 academic years. Information contained is accurate as of May 2018. 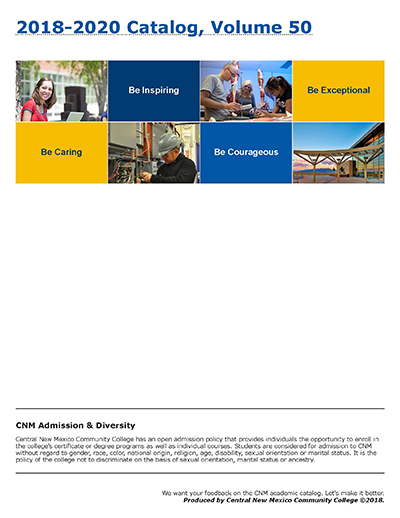 We want your feedback on the CNM academic catalog. Let’s make it better. Produced by Central New Mexico Community College ©2018.